Labor Day is a national holiday in the United States. The purpose of the holiday is to celebrate the achievements of American workers and their importance to the economy and U.S. society. While federal and state government offices are usually closed for the event, service businesses are often open for at least part of the day. Many private companies include Labor Day among their paid holidays off. Labor Day’s date changes every year based on the calendar. The holiday is always observed on the first Monday of September. Because this is also the time when schools go back to session, Labor Day is considered in the United States to be the symbolic end of the summer season. The concept behind Labor Day actually came from European countries where workers are celebrated on May 1. The holiday is known as International Worker’s Day or May Day. 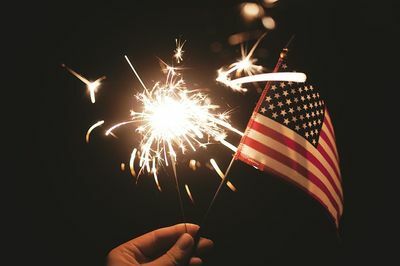 In the United States, a machinist who was the secretary of the Central Labor Union named Matthew McGuire is credited for coming up with the idea of having a similar celebration in America. When labor unions first began lobbying the U.S. Congress for a similar holiday to celebrate American workers during the late 19th century, there were concerns about when to celebrate Labor Day. President Grover Cleveland worried that May Day had Communist overtones that conflicted with American capitalist values. Ultimately, the date in September was chosen and Cleveland signed the bill that made Labor Day a public holiday in 1894. Many states were already observing Labor Day by the time the federal holiday was established. Oregon was the first state to create a holiday especially for workers in 1887. In communities and cities across America, parades are usually held over Labor Day weekend in honor of the holiday. Often, local chapters of labor unions march in Labor Day parades along with area marching bands and performers. The largest Labor Day parade in the United States is held in Pittsburgh, Pennsylvania, a city that was once the center of the steel industry and remains home of many blue collar workers. As with other summer holidays, Labor Day is often celebrated with family gatherings, particularly backyard barbecues. Although Labor Day salutes workers rather than the United States itself, many households and businesses fly the American flag on Labor Day. Many stores hold sales on Labor Day weekend to sell off summer merchandise. For many people, this is the last opportunity for back to school shopping. For some stores, Labor Day weekend is the second busiest shopping weekend of the year, surpassed only by the weekend after Thanksgiving. Due to the holiday creating a three-day weekend, Labor Day is a popular time for travel for Americans and is generally seen as the last chance to take a summer holiday. Public swimming pools often close on Labor Day so those who stay home may decide to take one final dip before saying goodbye to the pool for the season.